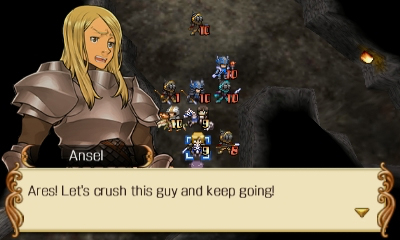 A lot of Langrisser Re:Incarnation TENSEI players remember the first game in the series, Warsong, pretty fondly. I’ve seen others that know all about the other Langrisser games as well, even though those never came West. I, however, have no experience with this series, so here we go with a newcomer’s perspective. When the game begins, you’ll be asked a number of seemingly unrelated questions, like your goals in life and favorite type of pet. From the information you give, the game will give you a version of Ares, the main character. You might end up as any of the game’s classes, ranging from a horseman to a healer or anything in between. Even if you had full control over which one to choose, though, it would be tough, because you can’t know what’s ahead. After this, the story truly begins. The city where Ares lives is attacked by the Empire, and in a desperate attempt to escape, Ares heads into the local church, where he stumbles upon the holy sword, Langrisser. From there, Ares and his magic-toting maid must escape and begin their journey. Never mind that you might be exclusively a lance user, depending on your choices–Ares still breaks out using the holy sword. 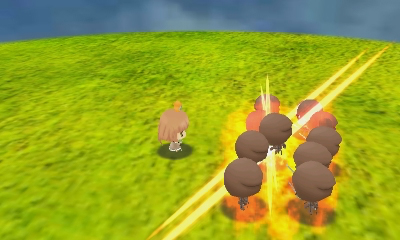 The battle system can be a little arcane at times. 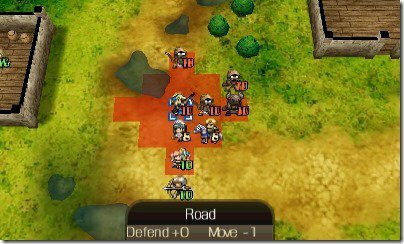 Each character will usually be in charge of 1-4 mercenary units. On that character’s turn, you can use the character and all of their mercenaries in any order you like, but there are caveats. If the character has a special skill, like healing, buffing, or a magical attack, that character can’t move on the same turn. In fact, if you move a unit, all you can do is attack or wait. It’s not clear, though, how much difference your current health makes when attacking. The game also doesn’t do a very good job of showing you the purpose of the A+ and D+ stats. As it turns out, each character has a command range. If their mercenaries are in that range, the mercenaries get a boost to attack and defense, which is what the A+ and D+ stats represent. It’s often a huge effect, which means that each group ends up having to stick together. 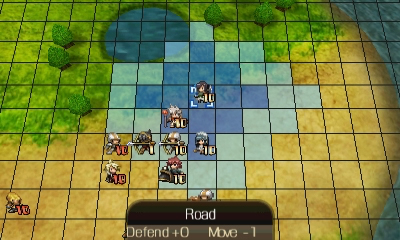 Like older Fire Emblem games (and let’s be honest, most of us compare it to Fire Emblem when we see it), this game has a linear progression through a series of maps. You can’t go back and grind for experience, so you’ll have to play smart. One other aspect of mercenaries is that they all disappear if the character controlling them dies, and this applies to enemies too. Therefore, you’ll want to kill mercs first for the most experience, and only go for their leaders if the situation is desperate. Attacks by your own mercenary squad pass the experience points on to the character in charge of them, so at least you don’t have to worry about that. 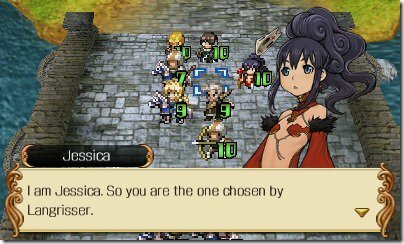 All these varying systems do, admittedly, set Langrisser Re:Incarnation TENSEI apart from other games in its genre. But unless you’re willing to play a decent amount, figure out all the details and start over, it can be pretty frustrating. I always felt that there was too much I didn’t know, and that I couldn’t make a good decision without that missing information. In my opinion, that’s unacceptable for a strategy game of this type. The story aspects are a mixed bag. After escaping his hometown, Ares takes shelter with the Army of Light. At that point, you can choose to continue fighting against the Empire, or one of two other paths. I opted to go look for Ares’ little sister, which made the Army of Light angry and got me working with the Empire for a while. It was interesting to see the awkward distrust and hurt feelings that resulted from that. Later on, there was yet another branching path that got me to change sides again. Most of the main plot involves bringing your side forward to conquer the continent, for whatever cause it might be. While a few characters are loyal and stay with Ares no matter what, a larger chunk of your force comes with the faction you chose. 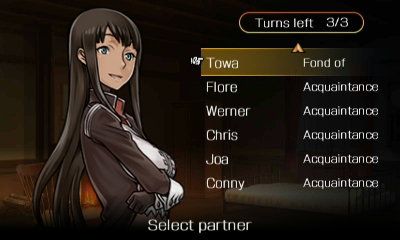 Because of that, I felt as if I had to choose wisely when I was allowed to talk to up to three party members after each battle. Every conversation comes with a decision, and you’ll have to listen for the chime to see if you made the right one and made that character happy. Luckily you can save right before doing this, so it’s not too hard. Plus, by the time the game was over, it turned out that the benefit from these relationships is pretty small. Still, it is worth it in its own way, because you get the chance to know the characters better. They’re not the deepest characters ever, but I did end up with a few favorites. The graphics in this game leave me scratching my head. When you’re in a conversation and see the art for each character speaking, it’s actually pretty gorgeous. I know some series fans think it’s gone too far from the usual style, but they still look good enough to earn a few plus points. 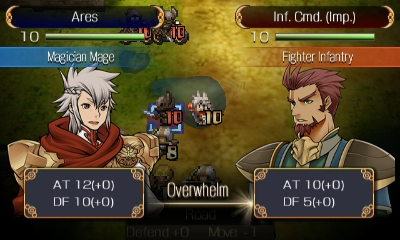 Langrisser Re:Incarnation TENSEI needs those plus points, because everything else looks pretty bad by 3DS standards. I touched on the battle animations before, which are by far the worst offense, but I really don’t care for the map screen that much either. You can zoom to three different camera distances, and the character sprites look merely passable at all of them. And, as with a lot of games lately, the sounds and music are decent but not quite good enough to be notable or memorable. I don’t mean to just complain about this game the whole way through, but it’s kind of hard to find much good to say about it. You can’t save or suspend during a battle, which is frustrating when the maps are so big that you spend three turns in a row just moving closer to the enemy. Before that, even, the B button is confirm and A is cancel. I don’t know what genius came up with that one, but just getting through the title screen was difficult the first time I played. 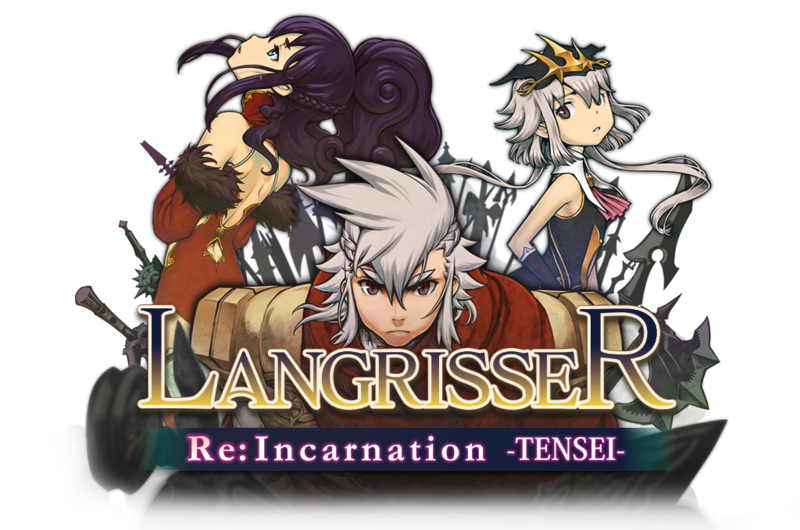 Overall, I just wasn’t that impressed with Langrisser Re:Incarnation TENSEI. There’s some good dialogue, and if you’re able to decipher your way into the systems, it could potentially have some deep strategy. But if you’re not willing to look past the unhelpful tutorials, crummy graphics and frustrating design choices, you probably won’t really find it. By the time I got to the last few chapters, I was begging for it to end. You can pick it up if you want to, but it’s not a game I really recommend. If you do want to sink the 40 or so hours in, get the game for $39.99 USD.